My last post was about a romantically-involved couple for Valentine’s Day; this week I thought I’d look at a single person status much distrusted throughout literature: that of the spinster. 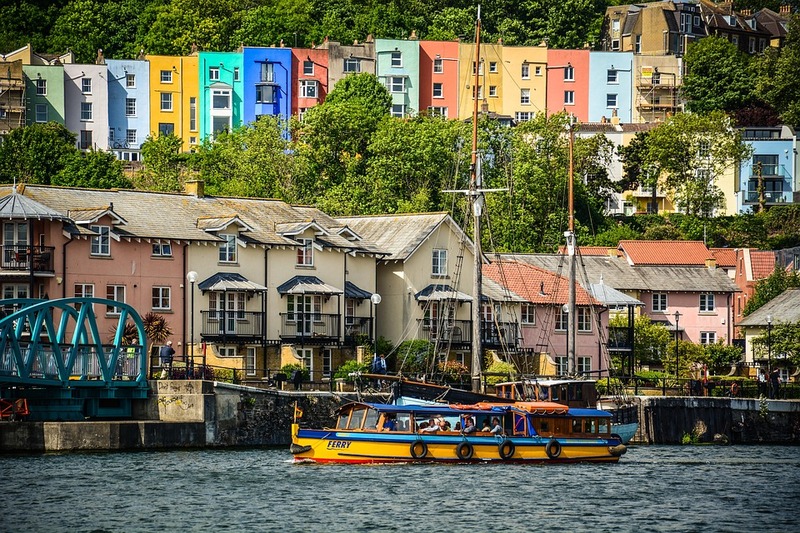 Both my spinsters are inhabitants of beautiful Bristol, which I’d like to claim was down to well thought-through post-planning on my part, but was actually a total coincidence. 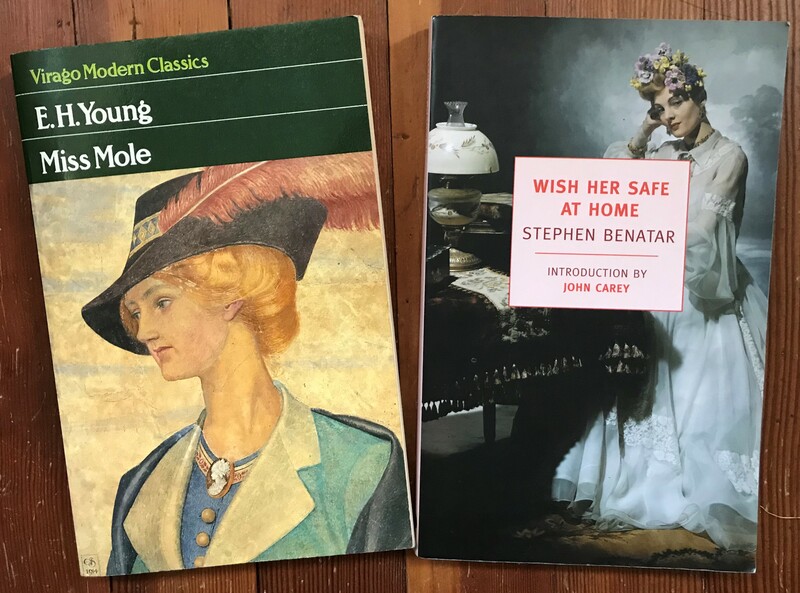 My first choice is the wonderful Miss Mole, titular heroine of the 1930 novel by EH Young. Hannah is in her late thirties, alone and shabby and the envy of no-one, yet she is a robust character who finds ways to survive and even enjoy life. She is not delusional, rather she refuses to see herself as others see her -and why should she? There is a strong streak of mischief in Hannah Mole too, and she enjoys teasing her well-to-do cousin Lilla, who finds her a job as a housekeeper to the reverend Robert Corder and his daughters Ethel and Ruth. This is not a remotely romantic set-up though. Corder is good at his job but he is also vain and self-centred, and enjoys his position in society because it means few people challenge him. Hannah sees him unblinkingly, and he does not like her. I really enjoyed spending time with Miss Mole. It’s a gentle novel, but it also doesn’t hide away from the realities of life for single women who are no longer young and without much money in the first half of the twentieth century, and how a judgemental society limits their choices. Secondly, a spinster who would probably have done better without much money, Rachel Waring in Wish Her Safe at Home by Stephen Benatar (1982). Rachel is in her late 40s with a boring job and a flatshare in London. Then her Great Aunt Alicia dies and leaves her a house in Bristol, and everything changes. “I saw the portrait in the window. Wish Her Safe At Home details Rachel’s descent into serious mental illness. It is brilliantly done. Rachel begins as eccentric and gradually becomes truly unhinged. The description of seeing the portrait is a perfect example. Most of us at some point have lost our filter in public: suddenly laughing at something remembered, or saying something out loud which we didn’t mean to. There are often experiences that we believe to be serendipitous for one reason or another. But Rachel suddenly takes this experience a step further in believing the portrait recognises her. A novel from the first-person perspective of someone who is losing their mind is a tough read. I found it really got under my skin, more than any novel I’ve read in a long time. The first-person perspective also works brilliantly in positioning the reader in a place not exactly like Rachel’s, but certainly confused and paranoid on her behalf. There is a young couple, Roger and Celia who seem to like Rachel – why? Are they after her house? Do they feel sorry for her? Are they playing her from the start? Are they completely oblivious? Rachel’s unreliable narration means we cannot be sure. That passage is meant to be overblown: Rachel is such a desperate character. Her delusions are romantic and an attempt to grasp a life so far half-lived, before it is too late. There’s nothing vindictive or cruel in her, and she is so incredibly vulnerable. “Sometimes I felt utterly convinced I had been singled out for glory. I’ve not remotely done justice to the power, skill and subtlety of Wish Her Safe At Home. All I can say is: read it. I’m so glad to hear that you enjoyed spending time with Miss Mole. She’s definitely more feisty than the typical mousy spinster! It’s great to hear about the Benatar, too. As you know, I have a weakness for these NYRB classics, so this might be another one for the list. Apologies if I’ve missed it, but when is the novel set? The cover suggests it takes place in the past, maybe the 19th century? I think you’d really enjoy WHSAH Jacqui. You didn’t miss it the date, I should have said, because when it’s set is an interesting question. I don’t think it’s ever explicitly stated, but I think its set at the time of writing – the 1980s. It’s never questioned that Rachel will live on her own and at the start of the novel she’s earning her own living, and there are trains and cars etc. But as it progresses she starts making theses slightly anachronistic references about her gloves and hat – it all becomes part of this delusional idea that she’s a young lady courting Horatio Gavin, and so I think she starts dressing oddly, although because it’s from her point of view you’re never quite sure (until the end, when you know what she’s wearing and it’s definitely bizarre). The picture on the front is probably how she sees herself, but it’s definitely not how she is. So I think being vague about the time is all part of the portrait of Rachel – she’s out of kilter with her society but also her grasp on these things becomes increasingly tenuous. How interesting! I can totally see what you’re saying about the ambiguity in time being a part of the portrayal of Rachel and the sense of dislocation she experiences from the world around her. You’re making an excellent case for this novel, Madame Bibi – it does sound very intriguing. Wish Her Safe at Home sounds extraordinarily powerful. Credibly portraying a mental breakdown from the perspective of the person who is ill is quite a trick to pull off. I wonder if Benatar had some experience of this in his life, perhaps someone close to him. Excellent review, as ever, Madame Bibi. It really is so powerful, Susan. It’s not sensationalist and it’s terribly sad without being patronising. I found it really got to me. I don’t know if Benatar has any experience of it, but I found the female voice totally convincing too – it’s an extraordinary feat. Both these title sound really super. And I love the look of the film too. Yes, I agree with you. The desire for magic is always going to come up against the demands of the every day, and just be impossible to sustain. It’s a huge ask which can never be fulfilled. Neither of my choices is the best advert for spinsterhood, I must admit! Miss Mole is brilliant but her life would be easier with a man, not because she herself needs one, but because society at the time made life difficult for single women. The Benatar really did rattle me Kaggsy, it’s so well written and the positioning of the reader is so clever. I hope you like it if you find your copy! 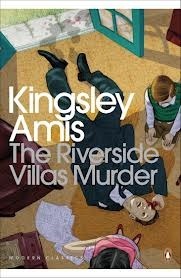 I love Miss Mole so much, I have been looking for an excuse to re-read it, one of these days I will. So glad you enjoyed it too. E H Young is so good at shining a light on the realities and women’s lives whether that is in marriage or spinster hood. I have a copy of Wish her Safe at Home tbr looking forward to it very much now. Miss Mole is great, I’m not surprised you’re a fan Ali.I’ll definitely be re-reading it too at some point. In fact EH Young is becoming a real favourite – I’ve three of her novels left in the TBR which I’m so looking forward to. Hannah Mole sounds like someone I would like a lot, and Rachel sounds like someone who would fascinate me. They are both going on my list! I recently read a book about a spinster – The Lonely Passion of Judith Hearne – which was much more depressing than these. I liked it very much, of course. 😉 I’ll be writing about it soon! Hannah’s great, and Rachel is compelling if exhausting! I hope you enjoy them Naomi. I love that line about not being scrupulous about the truth and George Sanders voice. Makes me want to watch All About Eve all over again! I love the fact his autobiography is titled Memoirs of a Professional Cad. I feel my finger straying towards the BUY NOW button! Both of these novels sound good to me. A spinster myself I never tire of reading about our variously colored lives. I am definitely getting Miss Mole, shabby but feisty sounds like something I can aspire to. I have the first half down already! I like the idea of her not getting together with a man in the end, I love the Miss Read books but in the last ever one she went and got romantically involved in her 60s, after a lifetime of dodging men in favour of books, domestic freedom, nature and her cat. Boooo!